Vantage Point Consulting will be presenting multiple seminars and exercises at the 2018 Indiana Federation of Ambulatory Surgical Centers Spring Conference and Trade Show. The event brings together Indiana’s ambulatory service providers for a one-day event in Carmel to learn about new techniques, vendors, and training opportunities. 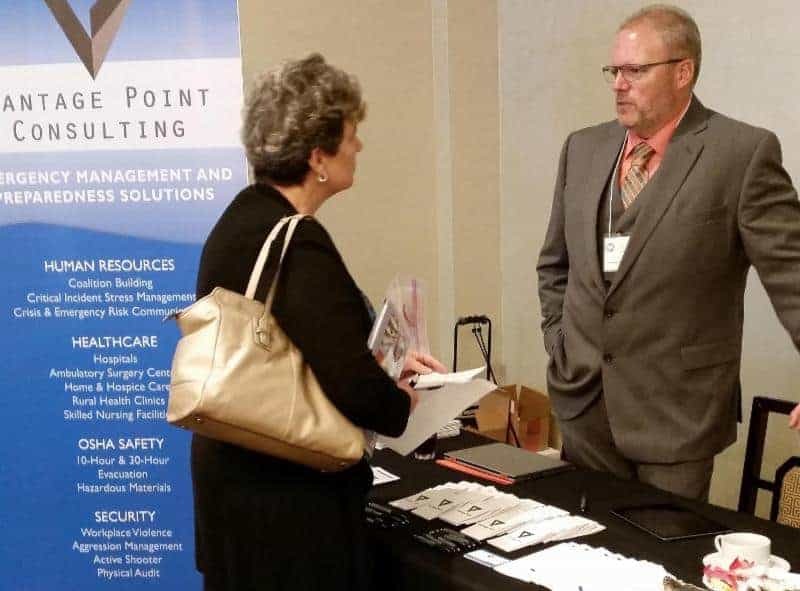 Vantage Point Consulting will be presenting on emergency preparedness, active shooter protection, mitigation, and response, and hosting informative exercises and Q&A sessions. An agenda, registration, and vendor information can be found at IFASC’s website. This year’s event is October 5, 2018 at the Ritz Charles in Carmel.